Mmmmm roasted chicken. Good old comfort cooking. I love the simplicity of cooking this pretty little bird. You can pair this up with any kind of sides you like. Today I wanted to go with something really really easy, so I went with potatoes and carrots. All toss in together with the chicken in a roasting dish. I used 4 different types of fresh herb, Parsley, Basil, Rosemary and Oregano. After cleaning the chicken, season it with salt, pepper and about a teaspoon of smoke paprika. Use that to rub the chicken. Then sear the chicken, skin side down on a hot skillet until nice and golden brown. 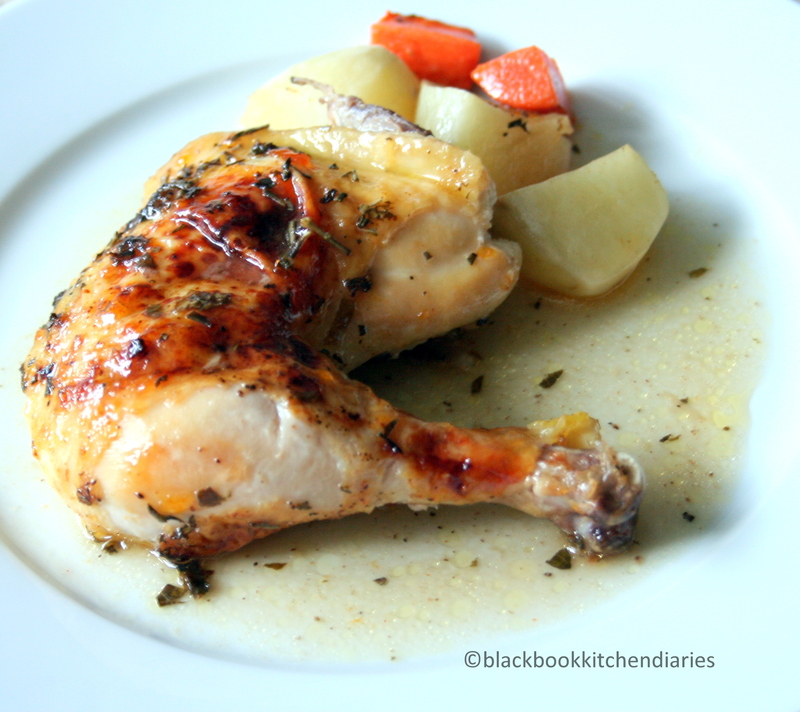 Place the chicken in a roasting dish with the potatoes and carrots. 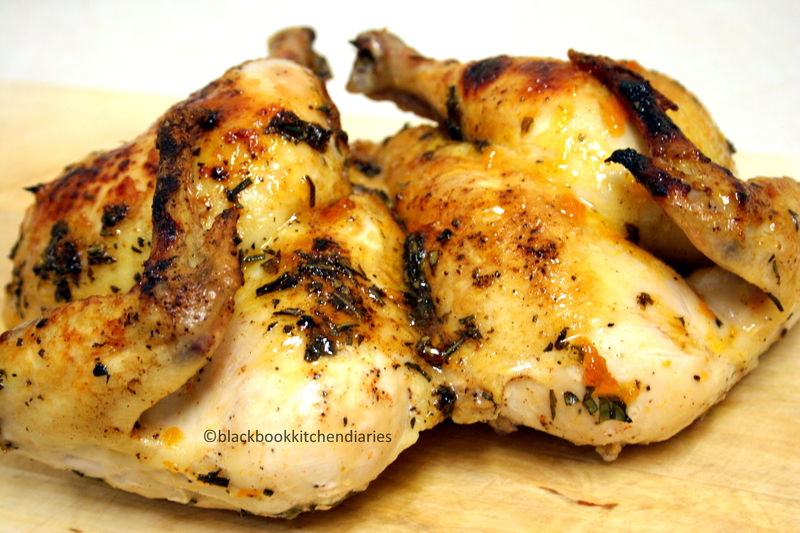 Then mix all the fresh herbs with a tablespoon of extra virgin olive oil and brush it on the chicken. Pour in ½ cup of chicken stock and ¼ cup of white wine. Then cover it with aluminum foil and bake in a preheated oven at 375 degrees F for 1 hour. Mix together 2 tablespoon of apricot jam, a tablespoon of honey and a juice of a whole lemon. Remove foil after an hour and brush the chicken with the jam-honey mixture. Return to bake in the oven uncovered for further 20 minutes till the skin is nicely brown. Serve with your choice of sides. tried this recipe and it turned out great!